Square Enix has been teasing an unnamed game reveal via its Twitch account. The teaser/reveal has been ongoing since Monday and is scheduled to end sometime today. The obtuse teaser hasn't been very illuminating but many people were thinking it is probably for a new Deus Ex game. 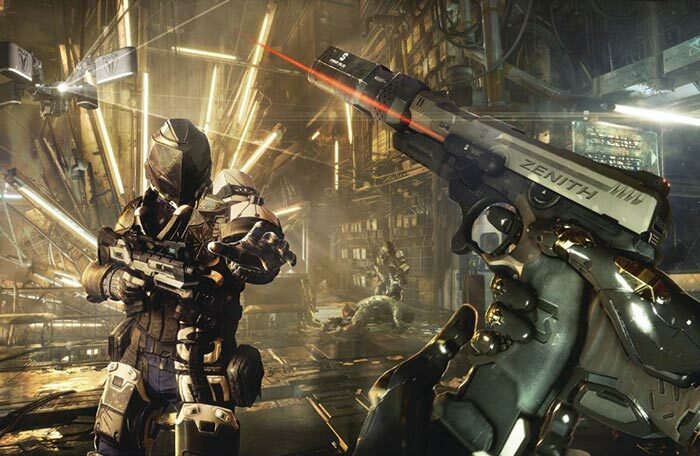 Yesterday a whole host of images leaked onto the internet revealing that the teasing concerns a game called Deus Ex: Mankind Divided. 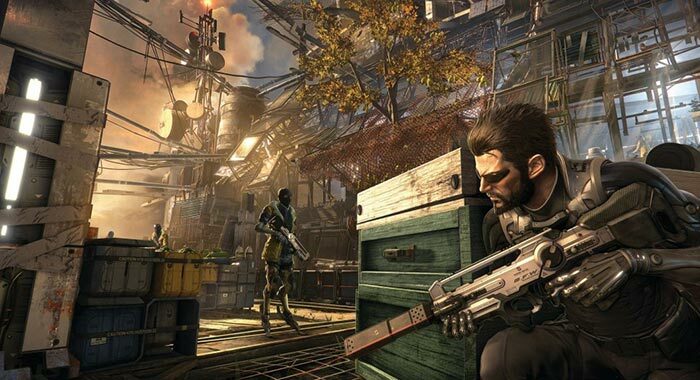 The images feature the easily recognisable Human Revolution hero Adam Jensen. While some news sites contacted Square Enix for confirmation of such a game, Game Informer magazine has now confirmed the game, as it features on the periodical's May cover. Game Informer has published an article about the game and its development, as a taster for the May print magazine issue. The new game follows on from Human Revolution and is set two years after the events in that game, in the year 2029. Adam Jensen works with an Interpol-funded task force to hunt down and capture augmented terrorists. He will have to work during a time when humans have a fear and mistrust of transhumans and their abilities due to the events at the end of Human Revolution. Gameplay can lean towards more stealthy or action-packed, as you prefer, with better enemy AI and new tools and gadgets available to the hero. 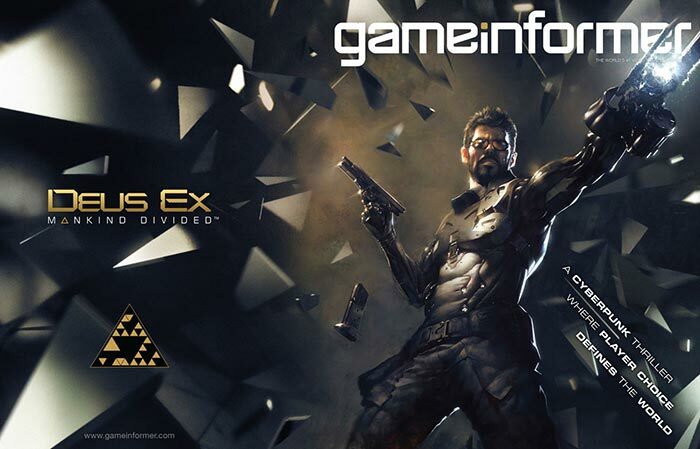 Game Informer says that Deus Ex: Mankind Divided doesn't yet have a release date, but confirms that it's headed to PS4, Xbox One, and PC. I just hope that they do this game justice. I enjoyed Human Revolution…except for the boss fights which were just silly and incredibly easy. I am looking forward to seeing what they come up with. Been looking forward to this, gotta say Jensen looks a bit odd in the gameinformer image though. Sounds like they're going with one of the blame endings to HR rather than the “deny existence” one. Agreed, they added stealth/hacking options for dealing with the bosses in the Director's cut but unfortunately they developed DC from a WiiU version and on an unpatched version of the game so DC has a big list of issues of it's own. I personally own both since you can't buy missing link anymore. Even then, some bosses like Garrett aren't handled that great, he still shoots you at the start but then you can go stealth in some vents. Being able to stealth in and take him out from outside the room without him ever knowing you arrived would be far better. Hopefully they learned from their mistakes. Atleast Typhoon was sufficient for stealth characters to kill bosses. Oh dear, another game I will probably break my ‘no preorder’ rule for. Despite it's flaws Human Revolution was one of my favourite games of the past 5 years, I don't even remember how many times I've completed it now. Wow,good news. I love «Human revolution».